Welcome one and all to our third annual Hilarious Catholic Web Award! Over the past few years, we've brought you nominees like Eye of The Tiber, Catholic Memes, @Swag_Catholic, Catechism of the Catholic Church Minus Context, Pope Trump, and more! Today, it's time for a whole new crop of possible winners for the award honoring who makes us laugh more than all the rest on the Catholic Interwebs. 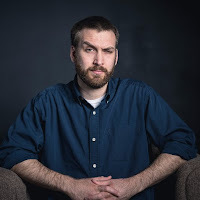 Catholic comedy writer James Breakwell, aka the Exploding Unicorn, is straight up hilarious. His tweets focus around living that big family life, raising a pig, and constantly underwhelming his wife. If you're on Twitter, you follow and enjoy James, that's just how it works. This account describes itself as: Using delicious Catholic-inspired food tweets to impress the cool kids of "Catholic Twitter". Well, I may not be one of the cool kids, but I've been impressed. It can all be summed up by a tweet featuring a picture of a Eucharistic procession with the caption, "Despite what you may hear, the Church has always been, and will always be, in favor of processed Food." Pure gold. Once you figure out Bishop Umbers is an actual person and a realbishop, you can sit back and enjoy his greatness. From his recent hashtag #PleasePostMoreMemes, to his video series that references Harambae in the title, Bishop Umbers is exactly the man we need guiding the flock right now. I hesitate to put the prayer squat warrior from The Crunch podcast onto the list, but only because I feel like he's going to run away with the title. He may only be on Twitter for the memes, but through his sense of humor, he's climbed into all of our hearts. From Catholic Twitter After Dark, to tweets about needing immediate access to confession while attached to a breast pump, Ethan is YOUR boy. Alright, folks. Who from this list cracks you up on the regular? Head to Twitter to vote and fight about your choice for Hilarious Catholic Web 2017!